Being quality conscious, we make available Elbow 45 Degree. It is extensively used in petrochemical, automobile, mining, power plant-etc industries. Being fabricated using modern technology, it can be customized in terms of radius, shapes and sizes as per client’s specifications. 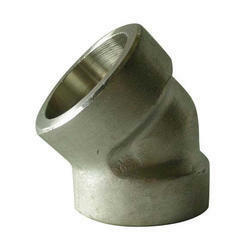 We are the Largest Stockists & Manufacturer of 45 Degree Elbows. This 45 Degree Elbows are manufactured using the best quality raw material in hand in hand with the Latest Hi-Tech Manufacturing Machine & Skilled Labour. 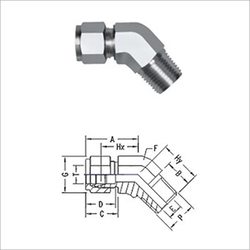 We are one of the well-distinguished companies in the market that are into offering 45 Degree Elbow. This Long Radius Elbow is primarily used for industrial requirements. • SCH-10 TO SCH-XXS FROM SIZE 1" TO 24"
• SCH-10 TO SCH-40 FROM SIZE 26" TO 48"
Our firm is involved in offering an extensive assortment of 45 Degree Elbow.